In the last 7 weeks, a dozen incidents have occurred, including attacks, with at least 6 people dead; fights against church construction and unfair firings. Persecution against Christians in Egypt continues to escalate with the latest violence being attacks on eight Christian homes after a Muslim mob went on a "rampage" with gas canisters, rocks and birdshot guns. Last week attack in Saft el-Khirsa (180km south of Cairo) trails more than a dozen others that have, over the past two months, made an already vulnerable community more nervous. 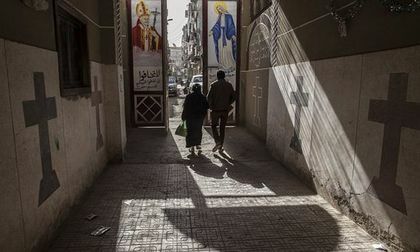 Of those attacks, three have seen Copts injured and their properties vandalised in the wake of claims that churches were being secretly set up. Egypt is yet to approve a common law granting churches the same building rights as mosques. Discussions to redress this imbalance have fruitlessly been going on since the 1970s. In Saft el-Khirsa, Coptic homes and stores were pelted by angry crowds shouting "We don’t want a church", and "No god but Allah, Christians the enemies of Allah", according to local witnesses. "On Thursday 21 July, we received threats of an attack the next day" said Mahrous Ishak, a local Copt, to World Watch Monitor. "We told the police and national security, but they showed no interest saying ‘If an attack happens, call us then and we’ll come quickly’". The violence continued "on Friday, during the Muslim prayers, when the loudspeakers suddenly fell eerily silent. Later, crowds filed out of mosques. One cleric was clearly seen directing groups of people in different ways towards Christian homes." Saft el-Khirsa, a village of some 12,000, is home to 70 Christian families. In a situation repeated across the country, the village is not served by a church, while ten mosques serve the Muslim community. "Some were carrying gas canisters and rocks, while others had birdshot guns. They attacked the homes of Christians. Contents were vandalised, children were crying in panic amid the onslaught by hundreds of attackers", added one source to WWM. Despite alerting the police to the threats a day earlier, no action was taken. When the police were called on the day of the attack, the chief constable said, "You wish to cause mayhem by building a church and now you come back crying?" After police eventually put an end to violence, eight Copts, including some whose properties were vandalised, were rounded up and taken to custody. Ten Muslim attackers were also arrested. "When we asked why they were detaining victims as well as perpetrators, they told us it was a matter of ‘state security’ and that’s how things are done", said Ishak, an account confirmed by another witness who spoke days ago on an Arabic Christian satellite channel. Lawyers were not allowed access to the detained Copts. Relatives were not informed of charges. Last week, a ‘conciliation meeting’ was quickly arranged, where the matter was settled on conditions deemed unfair to Copts. No damages were awarded, while only a ‘community centre’ would be allowed in the village. "Christians cannot pray. They can only hold weddings and funeral gatherings" said witnesses. The Copts’ list of grievances includes restrictions against church construction, and exclusion from employment. Thought to be 10% of Egypt’s population, the country’s estimated 9 million Christians have long complained of unequal opportunities when it comes to senior and mid-level state jobs, including in the army, the police force, the judiciary, the diplomatic corps, and education. Egypt is yet to approve a common law granting churches the same building rights as mosques. 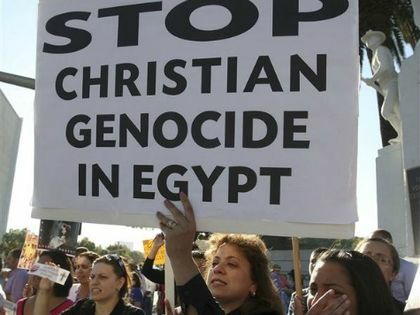 In the period since 25 January 2011 to date, from Sinai in the northeast to Luxor in the far south, the Egyptian Initiative for Personal Rights has counted 78 incidents where Copts were killed, nearly killed, injured, or repeatedly suffered material damages. A dozen of them has occurred in the last 7 weeks, with at least 6 people dead, and many losing their houses or being injured. The Church has recently indicated it had finally had enough of the extra judicial recourse to ‘conciliation’ saying Copts are "pressured into" them, denying them proper restitution while failing to prevent a repeat of incidents. "Everyone ought to have an equal chance to jobs. Among other illnesses, Egypt is diseased with discrimination", a Coptic religious leader said. Telling is a video that has been doing the rounds on social media by influential Salafist cleric, Sheikh Ahmed al-Naquib . On it, he indicates all four schools of Sunni Muslim theology forbid building of churches. Going further, Naquib said on the video, "It is of no use saying it is [the Christians’] right, that they too have their own religion just as we have ours. Not so. Their religion is null. They say Christ is God, or Son of God. How could we permit them such a thing? "You may say they share the land with us. No. Egypt falls under ‘the lands of Islam’", he concluded.